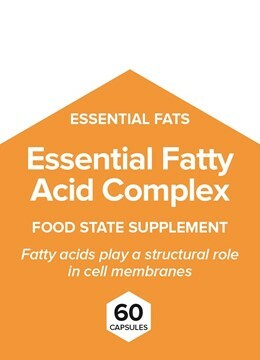 EFA's are unsaturated fatty acids that are regarded as essential for human life. The body can synthesise most of the fats it needs from the diet apart from 2, linolenic and alpha-linoleic acid, which cannot be synthesised in the body and must be obtained from food. These basic fats, found in plant foods, are used to build omega-3 and omega-6 fats. Fats are vulnerable to exposure to light and air, however the foodstate process protects the fats from damage. It is extracted from whole fish (sardine & anchovy) with the livers removed. Food State nutrients are presented to the body in a healthy, natural way; just as they are with whole food. The Food State Company exists to provide the highest quality vitamin, mineral, and herbal supplements to you. Copyright © 2019 Food State. All rights reserved.